...please sign my guestbook while you're here, thanks!! Paul Gigliotti and Dave Thomson make up the Canadian band WAVE!!! 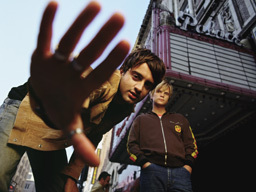 Their debut album Nothing As It Seems went certified gold in Canada at the end of 2001. Their breakout and infectious single "California" was the song of the summer and reached the #1 spot on the Much Music countdown in August. The album also included hits "Think It Over" and "Sleepless." 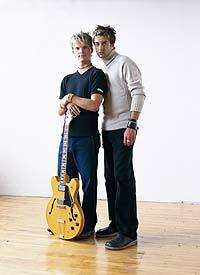 They spent summer 2001 touring with O-Town as the opening act and in early 2002 headlining their own Canadian tour. 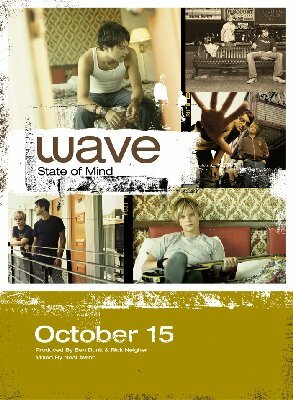 Now just over a year later comes WAVE's second album State Of Mind, set to be released on October 15. The new single from the album "That's How It Feels" can be heard on your local radio stations across Canada...so request lots!! You can also catch this awesome new song at their official site www.officialwave.com!!! *~ NEW in Tour Dates....check out Wave this summer!! *~ NEW in Latest News....Contest-win Dave's guitar! *~ NEW in On The Charts....DSS debuts on Mix99.9 & ChumFm Listener Top 30!! *~ NEW in Latest News....Wave hitting the T-Dot ! *~ NEW in Tour Dates....new tour date added plus TV appearence on MOD!! *~ NEW in On The Charts....DSS debuts on Much countdown!! *~ NEW in Tour Dates....more tour dates in the Maritimes added!! Please sign my guestbook & tell me what u think of this site. This site is ONE YEAR OLD!!! Disclaimer: This is a fan site only, it is NOT the official Wave site. All images on this site which do not belong to me have been fully credited to its owner regardless of permission. Infringement is not intended.